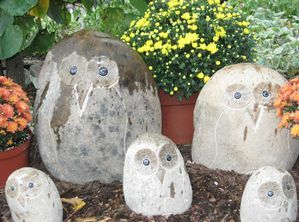 Milmont Garden Center features an array of carved-stone garden benches, birdbaths and stone animals by Stone Age Creations. 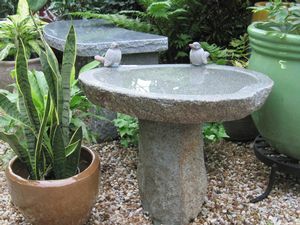 All of these products are of the highest quality, hand-carved stone, jade or granite taken from boulders that have already endured harsh outdoor environments for thousands of years. 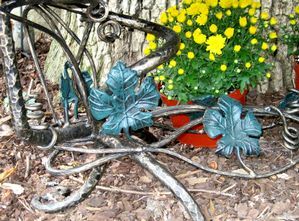 So, you can be ensured they will endure for many, many more years in your yard and garden. 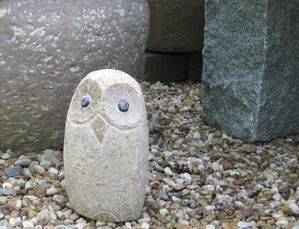 Stone Age Creations is the largest manufacturer of natural stone garden statuary that manufacturers items in America. 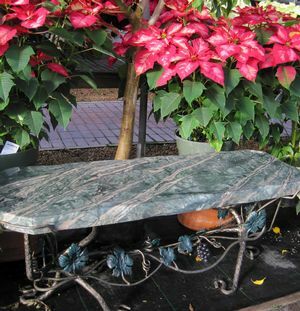 All the carved stone benches are approximately 18-20" high (a normal, comfortable seating height in America) and are designed to be wide enough to seat two people comfortably. GRANITE is an igneous rock typically formed as a result of volcanic activity and is known for its strength and durability. 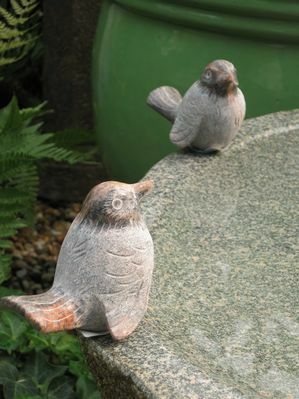 The best reasons to use granite for garden statuary products is because it will last forever and it should appreciate in value as it ages. 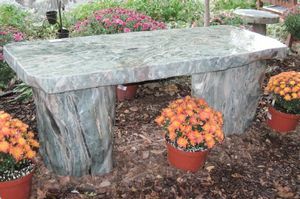 Some of the products here come from granite that is quarried in 20,000 pound blocks and sawn, chiseled, and carved. 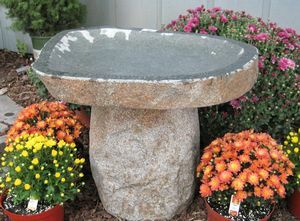 Other products are from granite boulders collected from mountains, streams or fields. The outside surface of a boulder has a beautiful patina that is the result of hundreds or thousands of years of weathering. Many of the boulders were deposited by glaciers. 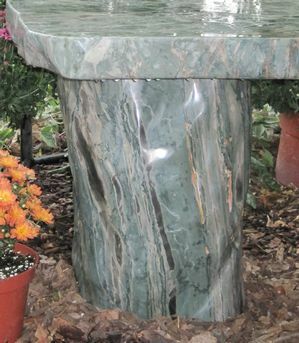 JADE is a semi-precious stone that is harder and more durable than granite. It has incredible color and character. The jade used in many of these products is in the form of large boulders that are collected from rivers and mountains. Some of the items are made from jade boulders where the natural exterior of the boulder is left untouched. 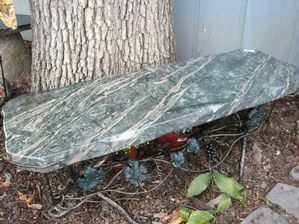 Other items are made by jade boulders that are sawn, chiseled, and polished on all surfaces. WE CAN SPECIAL ORDER ANY PRODUCT! 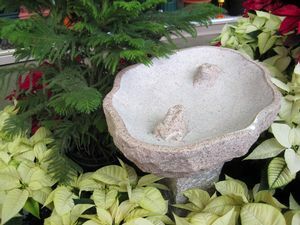 Ask to see a catalog for a variety of products from Stone Age Creations: Tables, Fountains & Bubblers, Lanterns, Stone Sculptures, Animals, Planters, Posts, Statues, Monuments & Memorials, even Kitchen & Bath Furniture.